The Department of the Interior (i.e. DOI) oversees the Bureau of Land Management (i.e. BLM). There apparently is a tremendous situation of irresponsibility, and ongoing, within both. Treating BLM as if they are on a foreign planet, with such unique problems as wild horses, or other wildlife, is simply similar to providing a very spoiled child with support, to become even more spoiled or in this case corrupt. So where’s the science? Where’s the ecology? 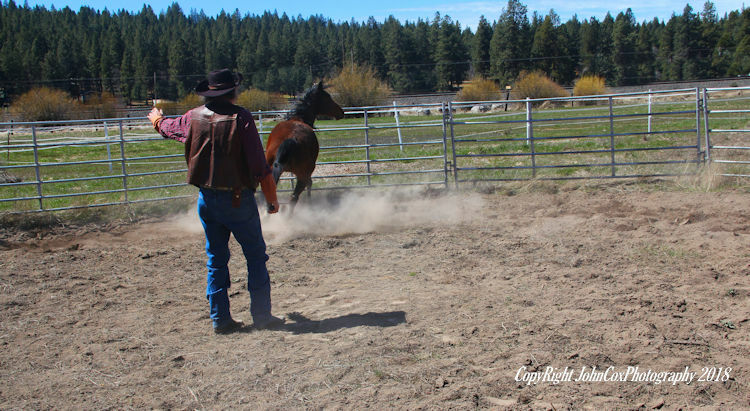 Where’s the evidence to support such activity by the BLM to conduct wild horse herd roundups? Where’s the evidence for the AML counts, to even exist actually, for each HMA? Where is the Environmental Assessments to prove, with confirmable evidence, anything and everything that BLM employees’ state as a truth, in the matters of anything about the subject of wild horses what so ever? Why is the BLM allowed to “outright” break laws in accord with the Wild Horse and Burro Act of 1971, NEPA, FLPMA, and the Taylor Grazing Act itself which was originated to keep those involved in ranching out of the decision making process for our Federal Lands? Oh yes, we have more and more questions, actually, every time a BLM employee, now joined with the DOI — opens their mouth, because truth is an evasive quantity with them – and yet $ millions upon $ millions of dollars apparently in their budget to support their endeavors? Based upon lie after lie? The biggest question – Is there a responsible adult in the room, to cover the taxpayer’s butts, from such two corrupt organizations, in the matters of wild horse recovery (in truth does not cost $ millions of taxpayer dollars – and confirmable) or ecological habitat enhancements (which cost taxpayers minor amounts of $ taxpayer dollars? Putting wild horses back on Public Lands is good for the horses, good for the Ecology, good for the atmosphere, good for diversity needed for a healthy ecological habitat, and good for the people – the taxpayers – who pay the bill for Federal Lands. So? Profoundly, the determination of survival for unknown amounts of living beings (humans included), and the human species profound judgement of what is essential and what is not, captivates our wildlife, our living standards, our social atmosphere, and our entire living situation right now, upon our Earth. What is not considered, and very important, is the fact of human survival, which co-exists with all other living beings and things upon this planet, and yet such a significant situation ignored by those who assume they know everything – about everything, and bi-damned hell or high water, they will let you know it. These situations similar to representing one-self in court, or working on your truck when indeed, you know nothing about what it is you’re doing. Well, we know and many more acknowledge, it is far more expensive to do it yourself in these situations, and not only cost-wise but time-wise as well. Think Big, Think Connected, Think Whole, but, in order to do this, we must reconsider current broken BLM and DOI management of our Federal Lands or the utterly broken Wildlife Management in general – for a more truthful approach. Why do I say this? Because we are in the biggest, and largest, human experiment in the history of this Earth. The profound situation, is it does not matter whether you agree with it or not, because the levels of Earth’s atmosphere within “Excess Carbon” measured daily, and statistically, do exist. You can rant and rave all you want, the deniers of such, but we are talking human survival, and not as trite as who took whose lunch out of the refrigerator during lunch break; rather, real-world problems. Right now, not tomorrow or next year, but right now. The fact that climate effects biodiversity is a “known” scientific result. This is, as simple, and similar to one walking into a dark room, and using science – the light switch, to turn the lights-on. The fact that nature is an “inconsistent” situation, and yet an alliey to the human species is of a paramount value; although, only when our conduct of use is within a positive parameter, which only then confirms our approach toward biodiversity. Will we come to the point, within our political environment, when “Climate Change” on such a current broad scale over such a short time period, that exists right now, and ongoing denial exists also, which does nothing but produce just plain ol’ poor results, compounded with bad decisions (the killing of 100,000 wild horses – or the darting for breed control, for example – how disgusting in a supposed civilized society that this would even be recommended by a government agency — or by non-profits who step forward under the false guise of humane responsibility, that both state they represent us – neither one does, and they all need to go away) from those responsible for our Federal Lands (i.e. BLM or the DOI), soon we will simply run out of options on how to approach or resolve the current situations we have right now, when both government agencies and non-profits make the situations worse. But, this also means if we take truth and respond in-kind to the options left for us to ultimately survive on this planet, science does show us not only plants and animals will have to migrate to better atmosphere, even though some compromise may exist – but even more costly, is the fact that “Preserves” may need to relocate as well. With all of this at stake, one has got to consider just how wayward is the science in the DOI, or BLM, and how political agendas remain involved, or special interest, or their corruption? Has it evolved into something totally spinning out of control entirely? So, are we spending taxpayer money appropriately? Well, when we look at science, and things to come, that are developing right now as we predicted, then the BLM and DOI are 100% wrong to spend taxpayer money, $ Millions of dollars, to liquidate such wildlife as our Nation’s Apex Predators’ or America’s Wild Horses – which, in a truthful reality, their wayward decisions reduce the diversity needed for any Ecological System to process itself within a healthy environmental landscape – or, what we refer to as one of many island groups, that make up the entire environmental landscape. The “Climate Change” principles are also connected with protecting a sustainable system of Ecologically Healthy Habitats, as well as managing viable populations of wildlife, which also include our Keystone Predators’, our wild horses, oceanic health, and much more. The truth is all of these are the manifestations of the same problem, at different scales of biodiversity and hierarchy. If nature is an uncertain, if there is no balance but only a discordant harmony, then what is it we are even here for? Are we nothing more than a blight, a mistake of attritional circumstances? Or, are we here to be part of the whole, and function as such, rather then destroying everything around us? What future unbiased goals may we set? “There are ranges within life which can persist, and changes that living systems must undergo in order to persist. . . Those changes that are necessary to the continuation of life we must allow to occur . . .” – D. Botkin, Discordant Harmonies (New York, 1990), 190. What I have outlined here is, simply, the tip of the iceberg, so to speak. The BLM/DOI theories of Economic Ecology strategies simply do not work, as science and data gathering approach the information, and then discover not only a lack information within both government agencies, but confirmable evidence that creates good science and good management decision making. Lack of evidence makes the situation questionable at best, with mis-management develops (which it has and for a long time now), then cover-up continuously (costly to taxpayers), the information that shows beyond a doubt bad decision making, which is based on bad science, or no science at all – which is now costing taxpayers $-millions of dollars within its own context. Humans cannot for long impose limited notions of order on a living world that, by its very nature, will not be pinned down. That is the goodness of Mother Nature itself. There exist no grounds for restricting our interactions with nature, especially to any “one” level of biodiversity. A single-species priority is unworkable, on this planet, in total. It just does not work! Get it? Many ecological theories, over centuries and yes, even Waldon’s Pond to Leopold, show us we must expand healthy populations of wildlife (no breeding controls infringed upon them – which is provided by human species ignorance, and unknown to taxpayers their money also used, most often, and need we not forget the ignorance paradigm again — inclusive of them not understanding nature at all), expand existing reserves, and create more island reserves large enough to create healthy habitats. . . until that is accomplished, then biodiversity ramifications, or in better terminology – human species survival, is in reality, uncertain on this planet. Do we in America really want this? It struck me as odd, one day, when I discovered the Bureau of Land Management (i.e. BLM from here onward) know nothing about managing our Natural Resources and in particular does not know how to manage a sound Ecological Habitat toward health. Then to the Wild Horses, and I discovered they knew even less. Yes, their misinformation and lies to the public in the matters of Wild Horses nothing more than a supreme ignorance (i.e. academic and noteworthy in this discussion), or a mind-set of being nothing more than livestock that does not make money; so, in their mind of minds, the wild horses are of no use, which is also an attritional value of ignorance at its worst. Difficult when a government agency becomes a big part of our throw-away society, which again, attrition creates a lot of damage when conducted ignorantly. But when there is ignorance involved, those who behave with this mental-disorder, have no idea they are being so obvious – similar to hate, and many have no idea they are the hateful ones nor will never admit such. None the less, we move on with our discussion of breeding in the wilds. Clearly, and a situation the BLM use, typically, erroneously, is the fact of exponential population growth. This is, for example, one species, such as the Wild Horse, will double to two, two to four and so forth yearly – But what is significant here is to know, and acknowledge the true fact of this situation can only occur for a short-time period. And, the other valuable fact to acknowledge here, is this can only happen in “prefect conditions” or within extremely healthy ecological habitats. So the BLM basically, unknown to them, point out their recklessness and even incompetence in managing our Public Lands, by their lies that promote (biologically untruthful) over-population of Wild Horses’. This will become clear as to why, below and reading further. We can look at the gut bacterium Escherichia coli which can reproduce every 20 minutes. Within a perfect system this rate of growth, after 36 hours and exponential ratios come into effect, the descendants of a single bacterium would cover the Earth 1 foot deep; and within the next hour they would be completely over our heads . . .
My point here is that Nature takes care of things like this, its own biology of reality so to speak. Any natural growth is restricted, constrained by the availability of ecological habitat resources and many other practical realities of Nature. This means we can trust nature to do what it needs to do, biologically as well as fundamentally, and in our case within this conversation, the Wild Horses can become naturally restrained, biologically, within their breeding circumstance and when we consider their natural habitats, and manage them appropriately; thereby, rather than the way they are being managed to destruction currently, with a single-species priority (cattle) type of economic ecology theory that simply show us time and again, this process, this theory, simply does not work. 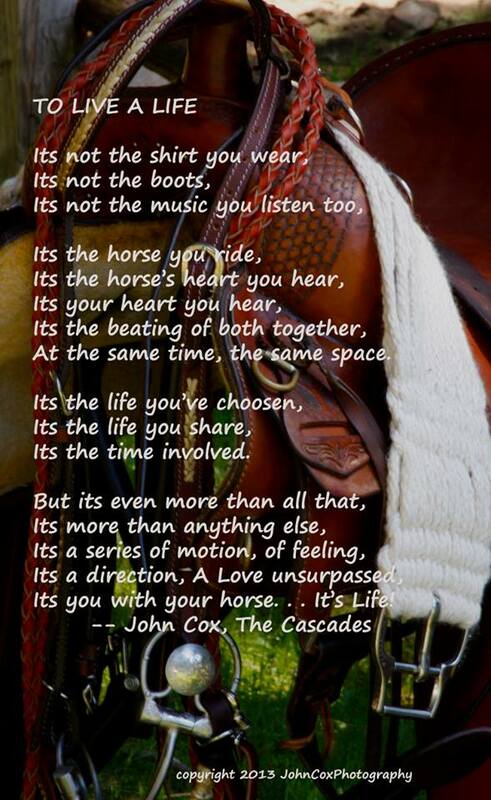 But, the very serious problem we have today, is the BLM and Department of the Interior, their oversite agency, ignores biology entirely, and approaches the Wild Horse situation, as well as our ecological habitats, within a special interest driven situation. Then it is combined with a political-motivated confusion-of-reality context, and the cost of simply managing our Federal Lands develops into $-millions of dollars, often into $-billions of dollars, from what is nothing more than a causation, derived from simple ignorance. So, we can now go to the Natural World of wildlife, and we discover the reality, that “limiting factors” inhibit uncontrolled growth. 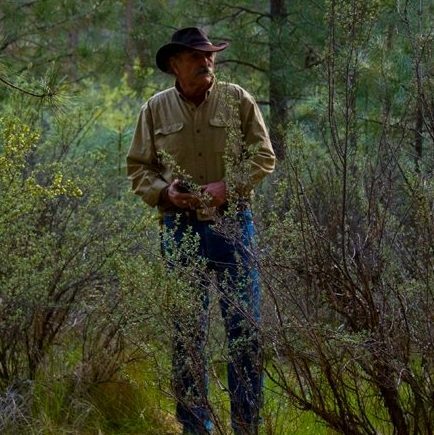 By now you have far more knowledge in biology than the common BLM employee, and their way-ward perception of wild horse management; but, as you will see further, their perceptions are very destructive, and cost the taxpayers far more in management-dollars, when compared to the reality of very little management required, and, within a matter of fact context, many of the things they do under the guise of management is simply considered frivolous activity = quite costly. Getting back now to “limiting factors” is the reality of availability of food and the competition for that food. What we see on our Public Lands are unhealthy ecological habitats, due to a single-species priority of a non-indigenous nature = Cattle. There does exist bears cougars, and wolves, which are Apex Predators and real-time priorities within an ecological habitat that upholds a healthy process or living standard. BLM and others, due to their money-trains, state there exist no predation circumstance in Nevada, for example. But that is untrue, when we look at the NF&G, and their increased permits to hunt the Apex Predators for population control, and their documentation to support the increase of permits within population removal of the same Apex Predators. Worse yet, we see a significant over-abundance of cattle, as many technical reports and articles by knowledgeable researchers and ecologists explain very thoroughly. Then in walks the very lack of knowledge from a BLM employee, and with a smile and totally ignorant, states, “. . . well shoot, heck no there’s no over-abundance of cattle on Public Lands, not that we know of.” And indeed, that particular person may enjoy his or her status of being ignorant, without even knowing the truth. Thereby, the problem of misinformation, and actually when one dwells into the legal aspect, would be considered fraudulent activity, as it is basically false information given to the public as well as to Senators and Congressmen, to acquire their Federal Taxpayer Supported budgets for the year. One can even consider the RICO Act, as it is also, when considering the 2 banks involved making billions of dollars in holding grazing permits as collateral for what is termed Welfare Ranching, and we have organized crime – combined with a very corrupt government agency. I am pointing out the difficulty here, that creates a low-standard of management principles, that generates a far less situation of healthy ecological habitats, above and beyond Nature’s Ways of going about the business of wildlife survival. Yes, BLM’s methods toward management of our Public Lands remains in direct conflict with Mother Nature, and her methodologies. Under their type of management, ironically, Wild Horses do not flourish, they cannot do so under such unhealthy circumstances. So, the BLM counts, just within principle and known science, or lands management principles, proves that BLM Wild Horse Herd Counts are nothing more than biological impossibilities – then we do fly-overs, and confirm the matter of their erroneous horse counts, which are indeed misinformation in total. Once again, we run across Nature’s way of doing things, and getting it done quite well, far and above the human species intervention, which most often develops into a travesty of our Natural Environmental Landscape. But the same situation exists within populations of wildlife, whereas, founding populations do grow (i.e. wolves for example, or cougar, or coyotes) quickly – but over a short-time period, as they encounter limiting factors, growth levels off. This is why, scientifically, many of us are against these killing-contest of coyote, as it basically bites the nose off of one’s face to spite themselves. Coyotes, for example, within their “founding” circumstance multiply exponentially, then after awhile will level off to a habitat-controlled circumstance of population resistance – yes, Mother Nature again, at her finest. Then a kill-off takes place, of the coyote (as one example of many others), and the “founding” period is started all over again, an out of balance with nature circumstance. The point at which the wildlife population size is within balance with its resources is referred to as “equilibrium.” This is beneficial, and happens when the number of individuals, or species groups for that matter and within a habitat, can and does support very well the species that lives within that habitat, and the “carrying-capacity” of that species, or all of the species within it. Noticeable is the fact we are on the road to proper management, and again the Natural Process of things click-into-action, so to speak. Here is where the rubber meets the road. We have found two types of carrying-capacities that can explain this very easily. Species within a healthy Ecological Habitat have fewer offspring, as good science shows us quite often – these species reproduce later in life, and in the matters of wild horses, some mares come into season, others do not (assuredly, 100% of mares do not come into season 100% of the time and is fraudulent information at the least – the same with Wild Horses live forever = ridiculous, and very ignorant to state as a fact), which is a biological circumstance directly involved with a healthy or semi-healthy habitat – and there exists more time and resources in raising their young, and where the health of their offspring plays a bigger role in reproductive success, than does the actual number of offspring, which becomes less over time. As within anything in nature, we do find inconsistencies, but not that often within a healthy ecological habitat. Taking a closer look at Wild Horses, we can find consistency, and lower birth rates when in a healthy environment, where diversity does exist. The wild horses then move to the “equilibrium” state, or as mentioned above, . . . into a beneficial circumstance, and happens when the number of individuals, or species groups for that matter and within a habitat, can and does support very well the species (diversity and not a single-species priority situation) that lives within that habitat, and the “carrying-capacity” of that species, or all of the species within it (i.e. diversity again). Noticeable here, but not on our Federal Lands, is the fact we are on the road to proper management, and again the Natural Process of things click-into-action, so to speak. Much more can be written in the matters of this subject alone. But, what we are seeing today is a disruption in our ecological Habitats, that eventually, in nature’s time, escalates to the entire Environmental Landscape, and yes, we have some serious problems. It is a disgusting circumstance that wildlife and animal advocate organizations are taking part in the ignorance of BLM information, and establishing money-trains, I might add very awkwardly, and very ignorantly as well. Yes, often we neglect the reality of what Nature can do and provide to us. Somehow there exist those people who feel entitled, above and beyond their obvious ignorance, and claim they know everything. Well, in this case they do not, and it is time to stand up to them, and all ignorance for that matter, as America is being torn apart due to the ignorance that is so common today, and about everything, it seems, the Wild Horses symbolic of that exact situation. But one thing for sure, we need to stop sacrificing America’s Wild Horses for ignorance.